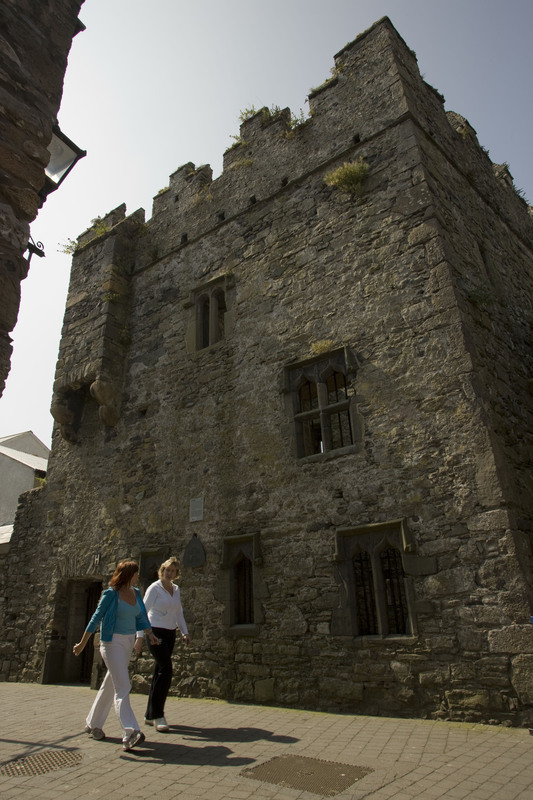 Carlingford; the other two being King John’s Castle and Taaffes Castle. 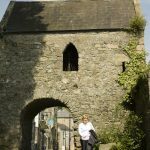 This 15th-16th century three-storey castle or tower house probably derived its name from the license to mint coinage granted to Carlingford in 1407, and it is believed to be on the site of a mint established in 1467. The limestone structure includes a battlemented wallwalk, with small holes in the battlements for muskets. A doorway onto the street is protected by a machicolation at roof level. The lack of a fireplace and the extensive defensive structures have led to theories that this building was used as a mint, but it could as easily have been the home of a wealthy merchant family. We were impressed with the ground and first storey ogee windows that face onto the street (see photo to the below). The panels feature a horse, a bust of a man, a bird, a snake and broad interlace ornament which is said to reflect a revival of Celtic art in the 15th and 16th centuries. Over the top of each window is an ornate hood, the surrounding stones are skillfully decorated with pecking, and the window openings are protected by iron grills. century and a Parliament is said to have used it to make laws for the Pale. We strongly recommend a visit to this gorgeous medieval town. There are many more exciting sites to visit here including the fabulous castle and the other tower house. 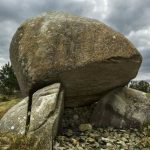 Due to a horrendous downpour on our visit we we unable to get good images of the other sites.